Today is Easter Sunday, and I am rejoicing over God’s living water, that water we can drink from and never thirst again. We know from the Scriptures that at the time of Jesus’ death, the veil in the temple was ripped from top to bottom. This ripping represented the free and unlimited access people would now have to God due to Christ’s sacrifice. Those people included the Samaritan woman who talked with Jesus at the well. As the story goes, the Samaritan woman came down to the well with her pail and bucket to fetch water, and Jesus told her that if she turned to him, there was a water that he had, called living water, which would allow her to never thirst again. Here’s one of the most poignant points in the passage for me. This woman had been married five times and was currently living with a man who was not her husband. However, that was not a barrier to her being able to partake in God’s living water. 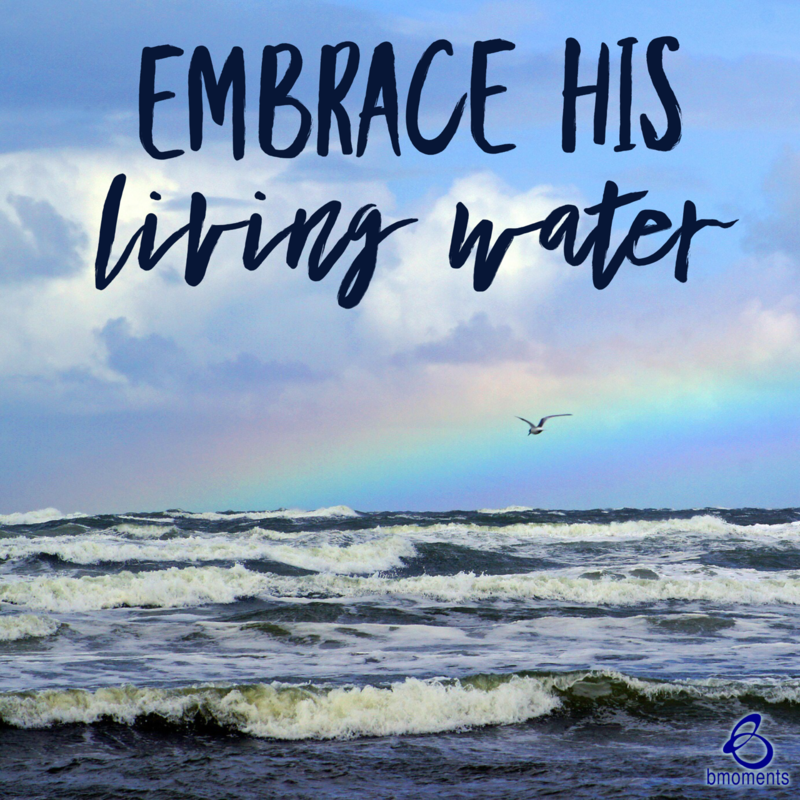 When she learned that Christ was the Messiah, she forgot all about the water that she had fetched from the well because all she could focus on was this new living water. Once she learned about her free and unlimited access to the living water, she converted an entire town. So today, celebrate your Easter Sunday and drink from the cup of living water.